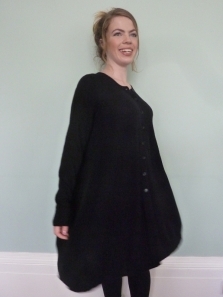 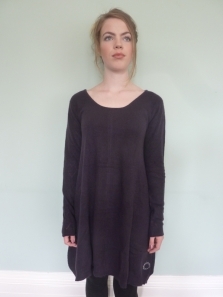 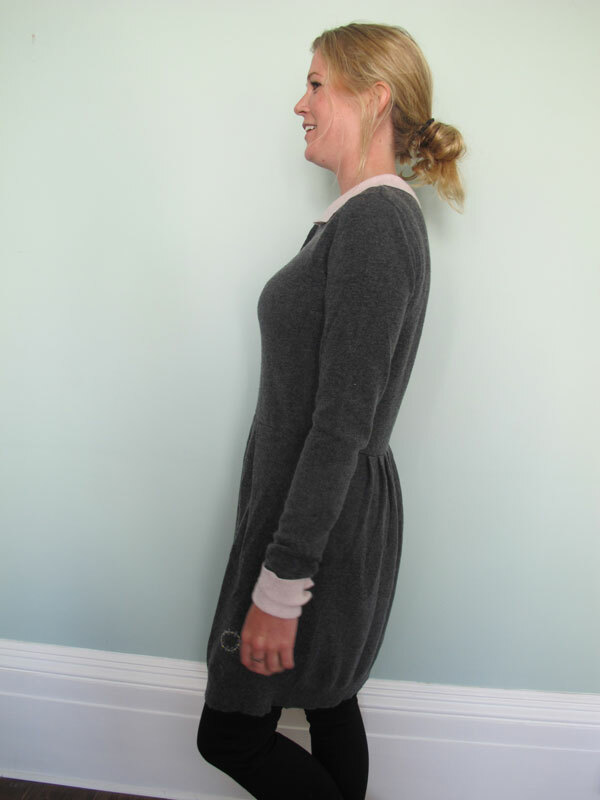 Pretty delicate cashmere dress with contrast collar and cuffs, two pintucks at waist on a slightly tapered skirt, so can be worn on it’s own. 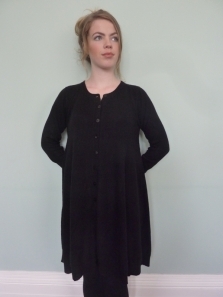 Shell buttons to waist. 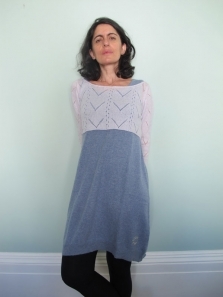 A classic, useful dress. 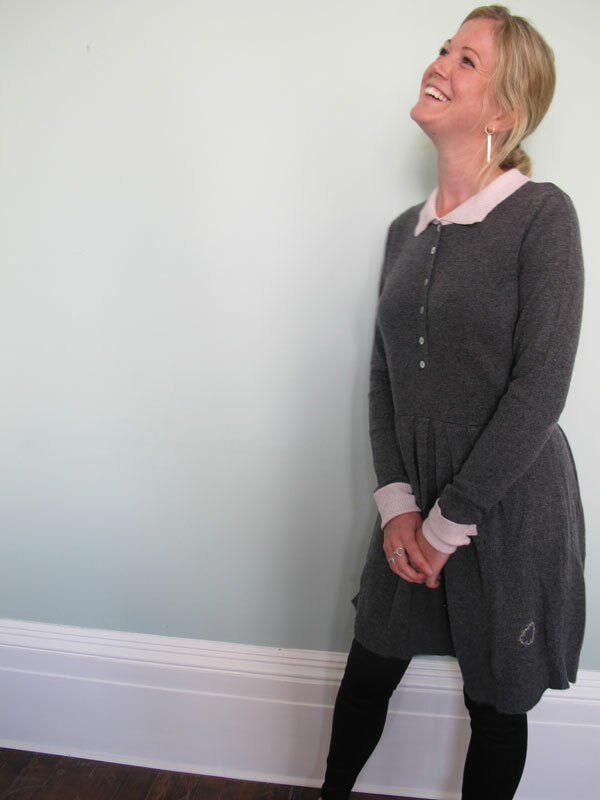 Dark Grey with Powder Pink collar and cuffs.